George Goldner, a Jewish kid born in New York in 1918, was a garment dealer turned rock and roll entrepreneur with a thing for Tiffany cigarette cases. In the 50’s he founded legendary rock, R&B, and doo wop labels like Rama, Gone, and Gee, and then Red-Bird in the sixties with Lieber & Stoller. 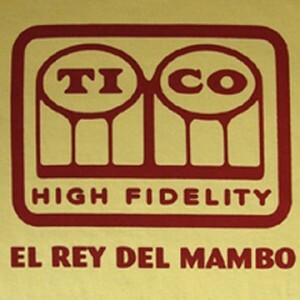 But Goldner’s other passion was Latin music– Jerry Wexler dubbed him “the phonograph record’s King of Salsa”– and in 1948, with popular radio host Art “Pancho” Raymond, he founded TICO Records, one of of the most important Latin labels in U.S. history.Click here for the full story.